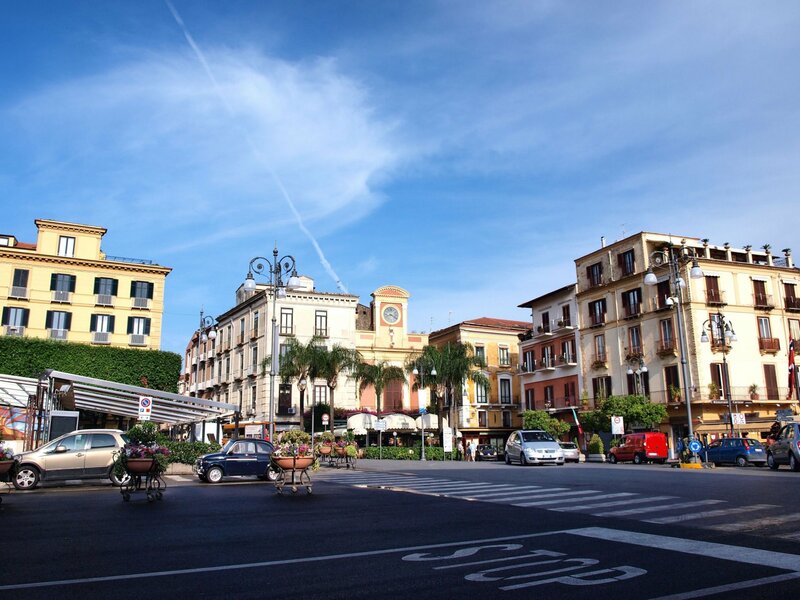 The tour departs from Naples everyday, after pickup reach Sorrento in 1 hour and 30 minutes. Along the coast the guide will allow the group to get off and take beautiful photos of the landscape. 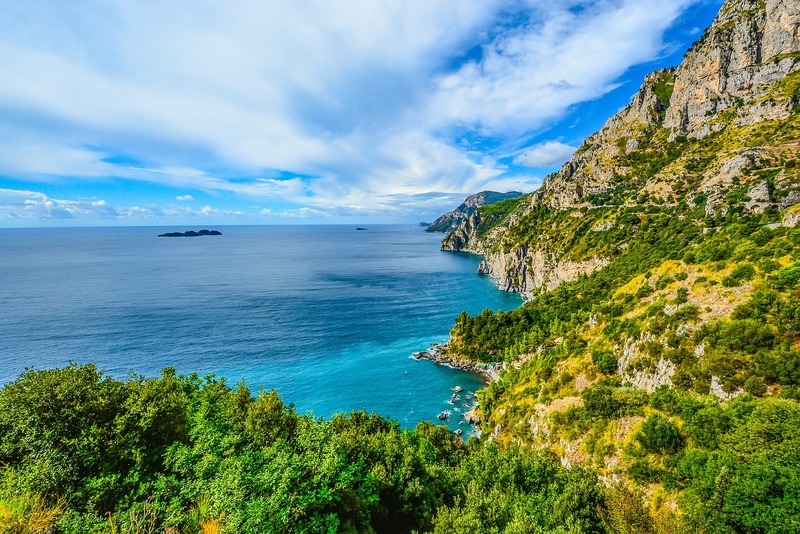 One of the stops will be in a factory where “Limoncello” and other delicious local products are made. 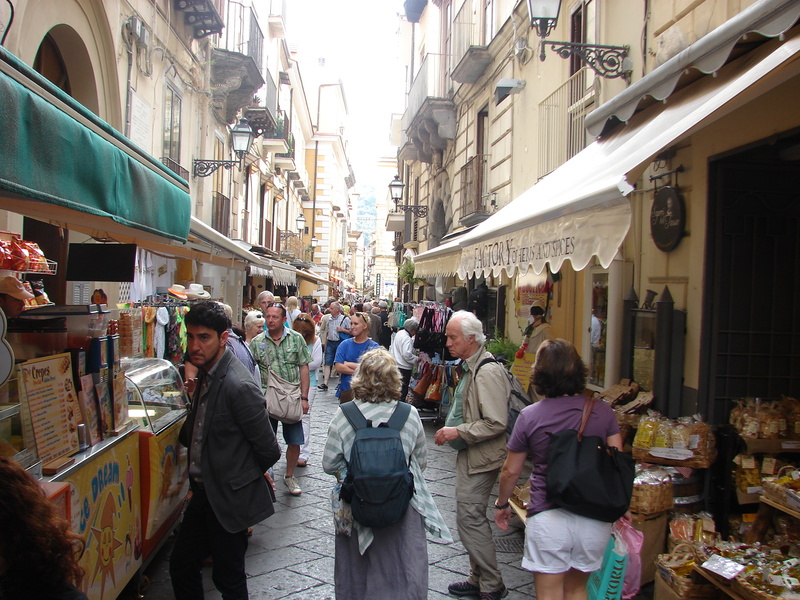 Enjoy 1 hour free time in Sorrento in order to stroll through the picturesque and narrow streets and admire the countless artisan shops. 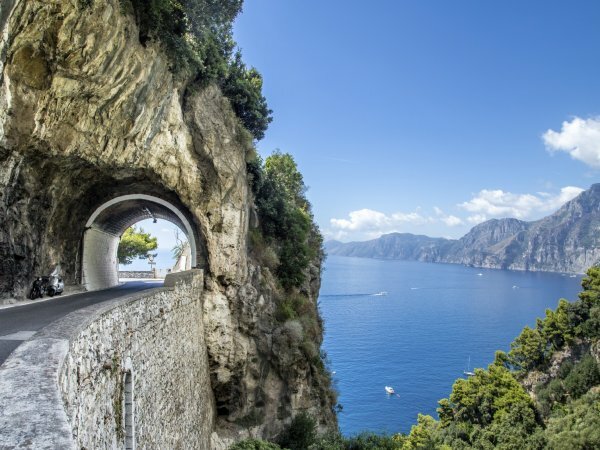 At this point the tour will leave the bay of Naples and the coast of Sorrento to approach to Amalfi Coast. 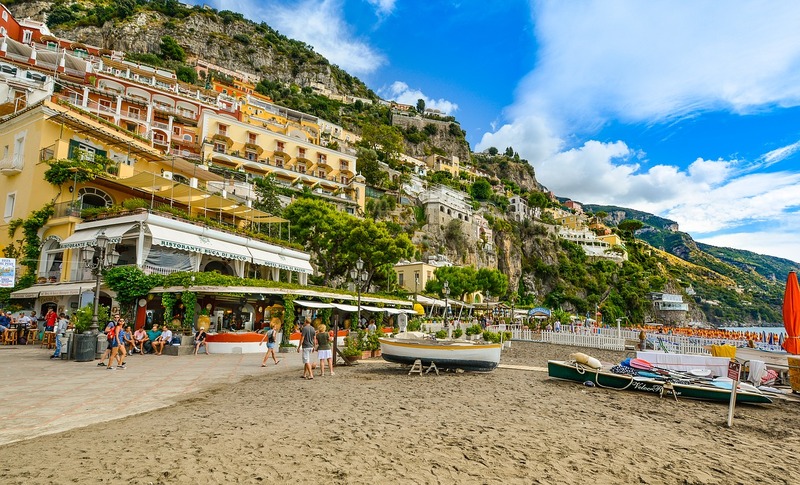 Reach Positano and stop in the down town.Take the typical stairs and reach the beach of Positano.You will be overwhelmed by a rush of flowers colors. 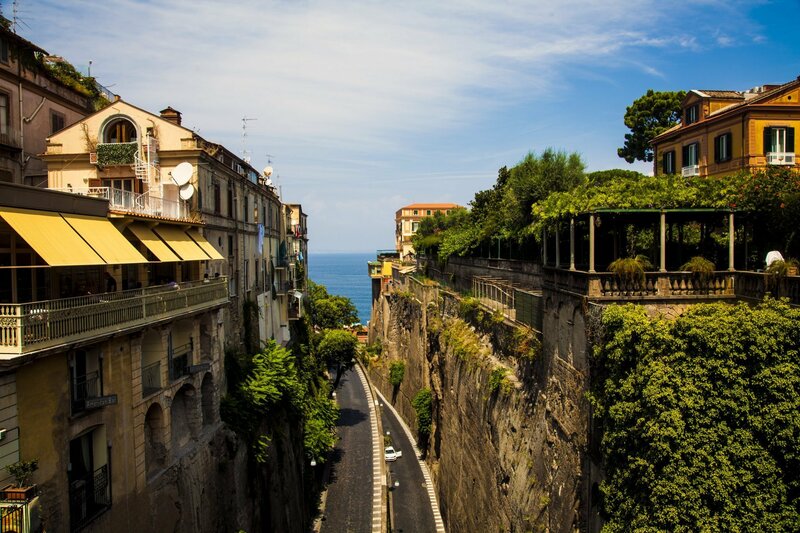 The tour includes a stop in a sought-after restaurant with a breathtaking terrace overlooking the sea. 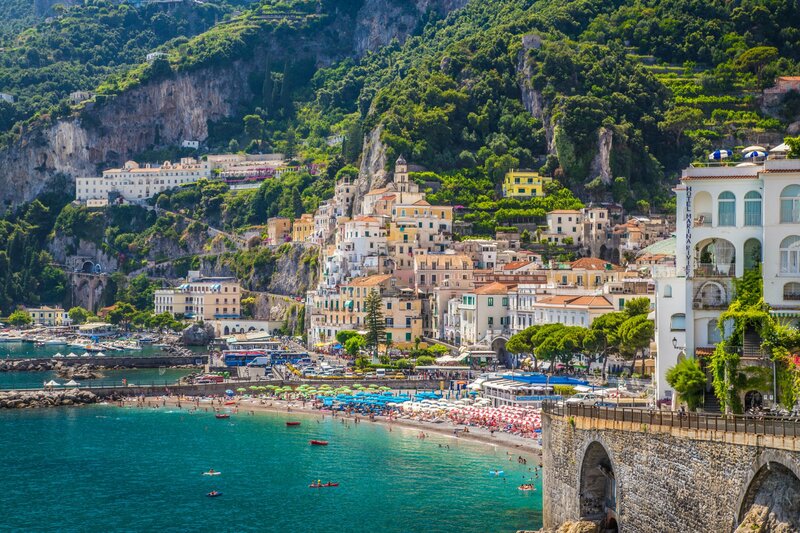 After the lunch break, reach Amalfi, the most important town of the coast. 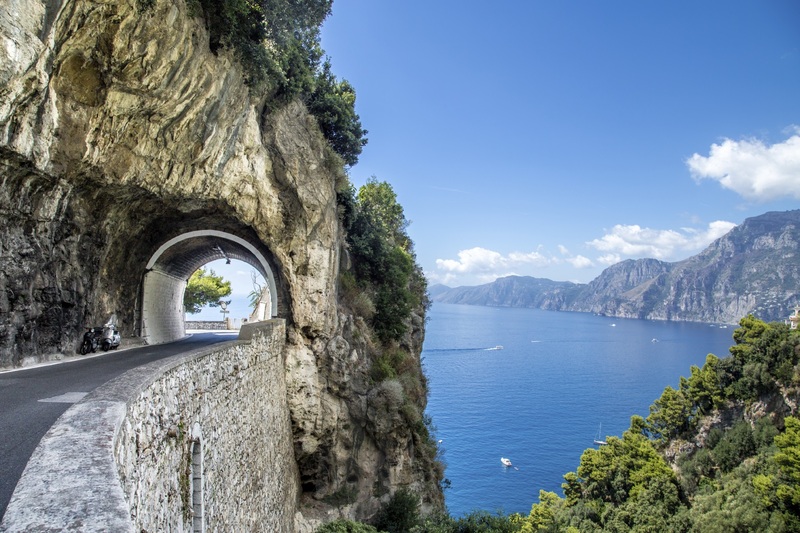 Once in Amalfi during the free time of 1 hour we suggest to visit the stunning and evocative St.Andrew’s Cathedral or to lay down on the beach and taste a local handmade ice cream. 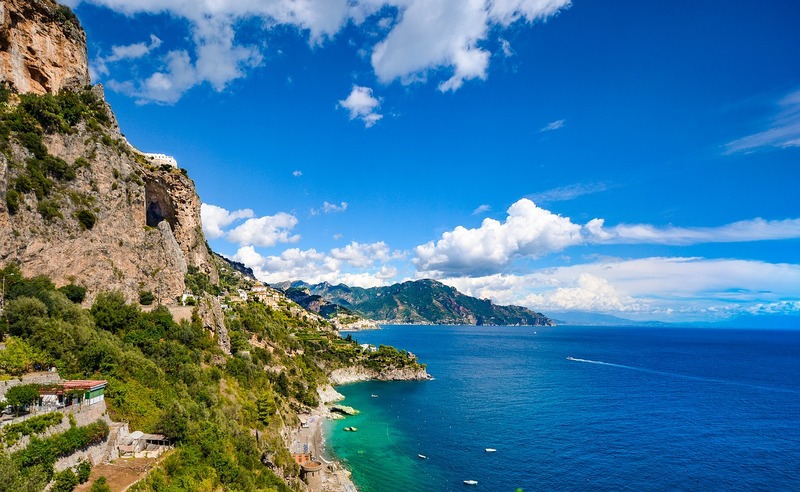 Tour Availability : all year, every day!